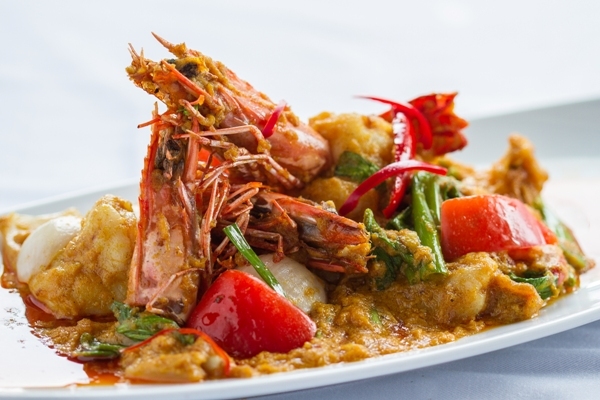 Thai dishes are a dime a dozen, but each dish is superb with its own flavour and features. The hot and spicy Thai cuisine carries five basic flavours: spicy, sour, sweet, salty and bitter. The last one is optional. Thai food is famous for its use of fresh herbs and spices. 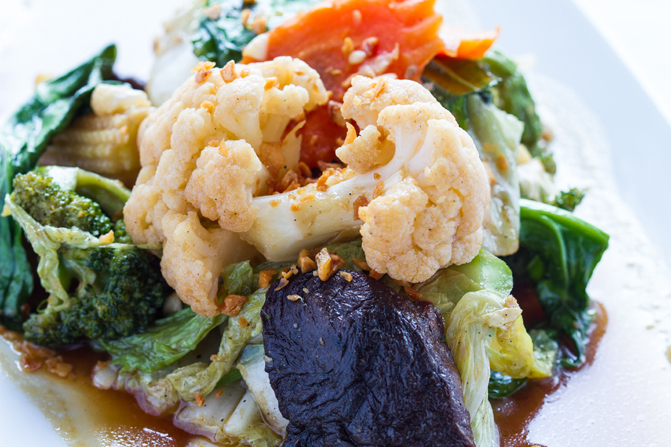 The ingredients help to harmonize all flavours, making the dishes very delicious and appetizing. Traditionally, Thai cooking takes a lot of time to prepare. Therefore, preparing food requires lots of cooperation and teamwork involving the family members to cook it together as a family meal. The food explains the Thai life and its traditions, customs and culture. Thai families are large and well-knit. In cooking, Thai family members help each other as a team. In cooking curries, children help with light work like nipping off basil leaves and adults squeeze coconut meat and pound chillies and spices. In modern times making Thai food is much easier as all the ingredients are readily available in supermarkets, but there is criticism that it lacks the traditional standards of the past. Although considered a single cuisine Thai food is more of an amalgam of cuisines corresponding to the four main regions of the country: Northern, North Eastern (or Isan), Central and Southern. Each cuisine shares similar foods or derived foods from neighbouring countries. Central Thailand’s food flavour is moderate with herbs and sugar. 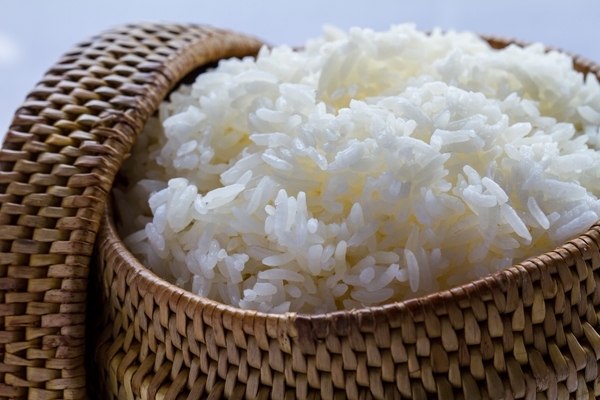 Curries and dishes with coconut milk originate from central Thailand. Northern Thailand boasts light flavours with a little spice that is not so hot. North Eastern Thailand is heavily influenced by Laos. Lap and Tom Sabb are very spicy and strong tasting, showing the influence. North Eastern Thais like strong flavours and spices. Southern Thailand displays a strong flavour of food with spicy herbs, like turmeric and coconut milk. The most popular examples are Kaeng Leang, Kaeng Tai-play, and Kua Kling. Several popular dishes of Thailand were originally Chinese dishes introduced to Thailand by Chinese immigrants. Why Thai is an international favorite? Taste: The unique taste in each dish is among one of the many reasons why Thai food is popular among foreigners. Decoration: Thai food has an attractive decoration inducing appetites. Thai fruit and vegetable carving is an art introduced to dishes making you feel fascinated with the delicate preparation. 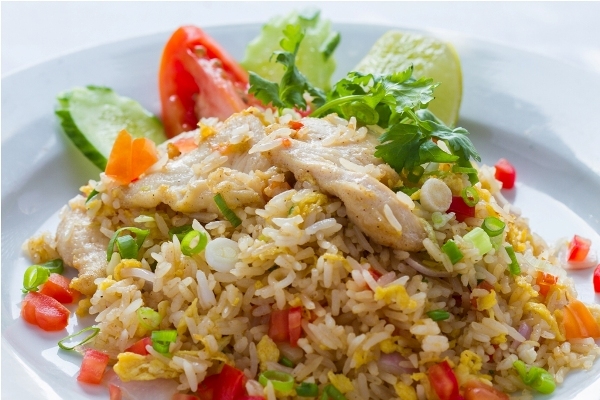 Harmony: Thai food can be taken harmoniously with any other food. For example Pad Kaprao as spaghetti sauce and Nam-prig Pao, chilli paste, as a sandwich filling or bread spread. So next time when you are enjoying Thai Food at any of the top Thai restaurants, just reflect on its legacy. You will understand that Thai food reflects folk wisdom, art and Thai culture and characteristics of Thai people. It also speaks of their delicate tastes, discipline, rules of conduct, artistic taste and human relationship. Thai cuisine is not just food, it is an extension of a great culture.